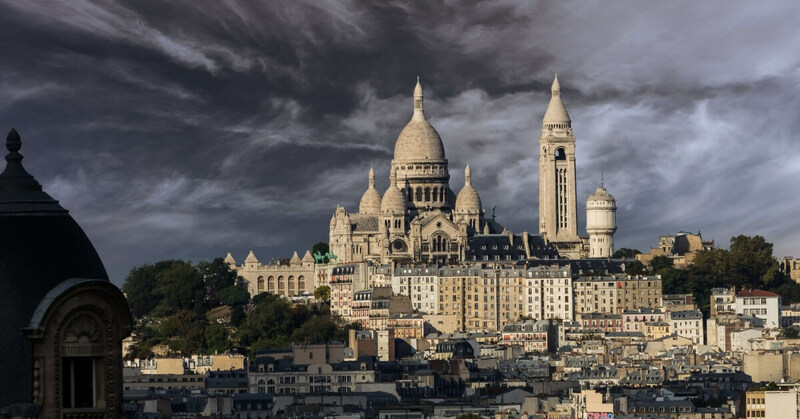 The Lure of Montmartre: Is Montmartre the Soul of Paris or Tourist Trap? In today's episode Elyse and Annie look at the lure of Montmartre and wonder if Montmartre is the soul of Paris or just another tourist trap. There is no doubt that Montmartre attracts a lot of visitors, but should it? Elyse argues that given its history—which she explains in this episode—Montmartre deserves its popularity. Annie finds it too touristy. Who's right? Dear reader, and soon to be visitor to Montmartre, you need to consider that Montmartre is out of the way from central Paris. Going there takes at least a half hour in each direction. Worth it anyway? We help you decide, but in the end it's up to you. Of course, we also talk about the iconic Sacré Coeur, the Montmartre church everyone looks up at from central Paris. And what about the artists at Montmartre? Are they any good? 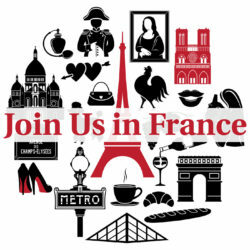 Are there any decent restaurants in Montmartre? We help you get the lay of the land before you go, and warn you about the curse of Montmartre: pickpockets. Please, do not ignore this warning. A la mère Catherine on place du Tertre. or one Annie enjoyed very much, Le Potager du Père Thierry (16 rue des Trois Frères), it is very small, reserve the day before! 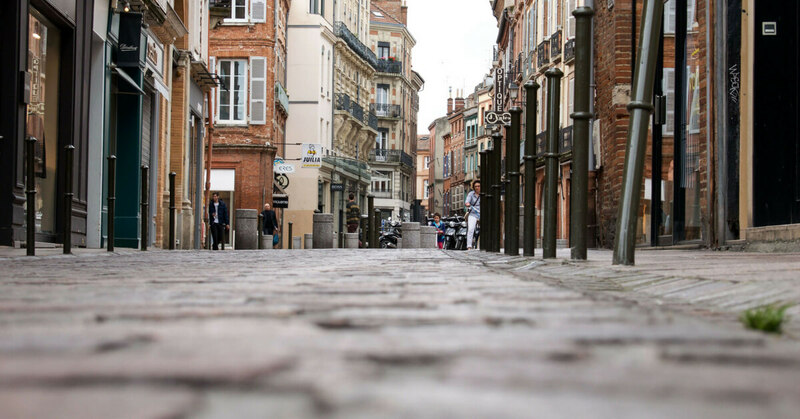 Where is Montmartre in Paris? Where did the name Montmartre come from? How Did Montmartre Become a Place for Artists? 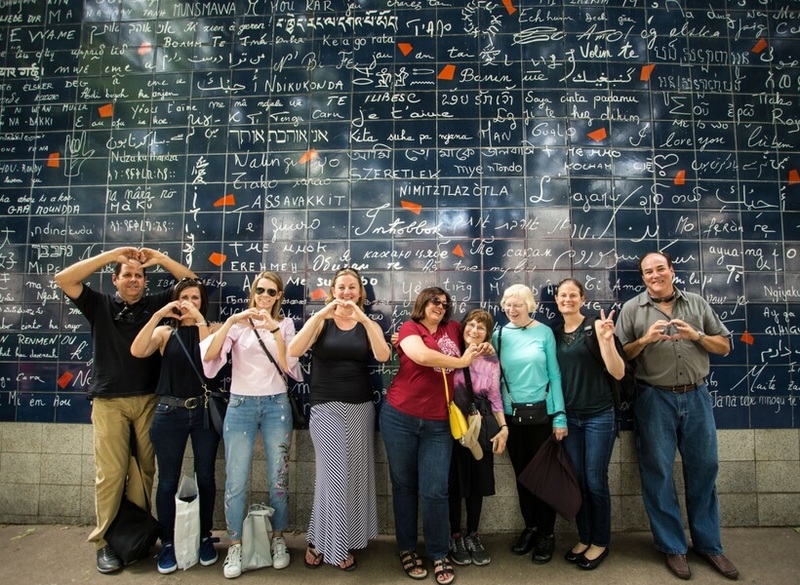 Addicted to France tour members in front of the Wall of Love in Montmartre, photo Annie Sargent. I enjoyed this one. Was on the fence about making the visit to this area on my 6 day trip, but I think this helped me decide to fit it in.